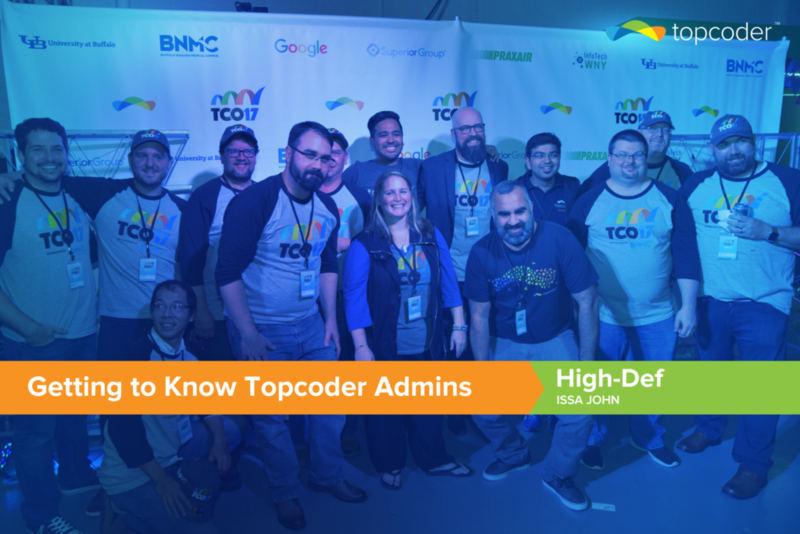 Getting to Know Topcoder Admins: Meet High-Def – Issa John! 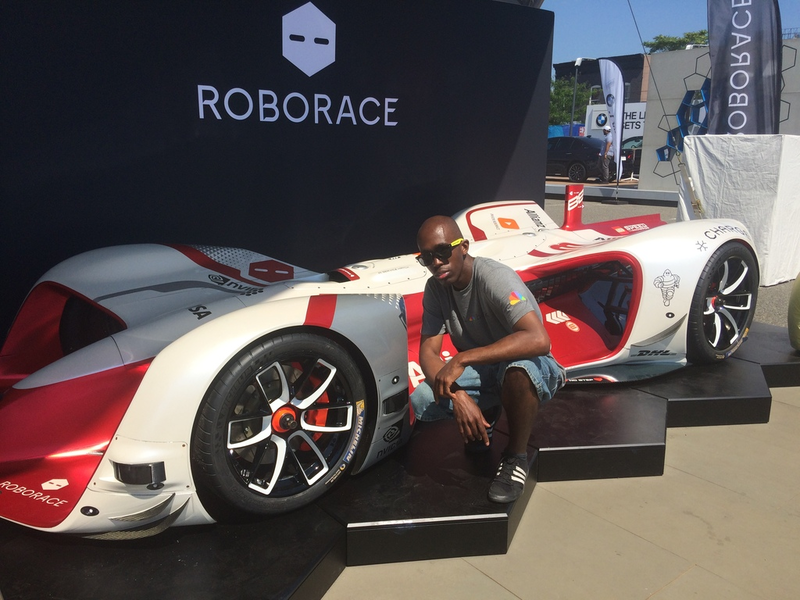 Issa is new to the Topcoder team but is eager to be a huge part of the Design team. Jumping in to help out with Design Month and bring us new, fresh ideas has already helped shape the things we do for the better. We are looking forward to what else Issa brings to the table! I know you joined Topcoder recently as an Information Architect. Tell me a little more about your background and what attracted you to Topcoder to apply for this position. I actually joined Topcoder as an Architect at the end of February 2018. I became a member of the community in December 2017 when I was considering taking the position as an Architect. I was curious about the platform and wanted to know more about it. What attracted me to Topcoder is its approach to creating a full-service design studio through its community of over a million members. I have had a bunch of jobs in my past that have led me to where I am at today professionally. It was a slow progression from analog to digital. Out of college I worked as a mechanic for the electric power company here in NYC. I later moved on to work as an industrial designer for a bike company making bicycle parts. Following that, I continued my industrial design career as a packaging designer and shoe designer. I slowly made the transition to digital product design in 2013 working as an independent designer for different companies. I worked directly with clients to figure out their needs and improve their digital systems. The work ranged from designing user experiences, to building prototypes for A/B testing, to creating user interfaces, and some front-end development work. The time I spent as an industrial designer helped make this transition easy, because the processes for creating physical products are so similar. Even though your experience is short, what do you like the most about working with Topcoder designers? What I like most is that you never know what you’re going to get, yet you do know that it is going to be quality. Viewing the submissions at a checkpoint is like opening a present. There’s a mystery. As an architect, I spend time with the client gathering requirements and creating a vision of what the output from the community should be. We carefully write a design brief in hopes that it clearly communicates the concept. I’m always impressed at the results and that the designers get it. The members of the community should be really proud of themselves that they can produce such great results with such minimal contact with the people managing the project. How do you push yourself to become a better designer? What really pushes me and motivates me is working with my peers. In my experience, people who are really good, usually work really hard at their craft. So, when I am working alongside these people, it pushes me to also work hard and to bring my A-game too. The Topcoder Community definitely does that for me. I view challenges as a collaboration. I can see just from looking at the submissions that the designers have worked really hard to deliver within all of the constraints. This pushes me to also make sure that I do a good job as an architect. Topcoder designers like every other designer should focus on their growth. Which means refining your process, improving your skills, and paying attention to what’s out there and getting inspired by that. How do you see designers contributing in the blockchain space? The way I see it, blockchain technology takes place on the back end of applications and is an opportunity ripe with innovations for new tools and products we have never seen or experienced before. It’s not necessary to fully understand the technology. The main thing is to understand the tools and the products that are being created with it. Combining that with human centered design and thinking about how a person will engage with it is something that we already do as designers. Of course, the more you understand blockchain, the better of an edge you will have when designing and communicating with developers on a project. The same holds true in our current state. You don’t have to know how to code, but it sure does help when collaborating with a team. What’s the thing you’re most passionate about in your job? What is it that you find most rewarding in your job role? I’m most passionate about providing opportunities for people to work in the design field. Working in design, like anything else, is all about connections. 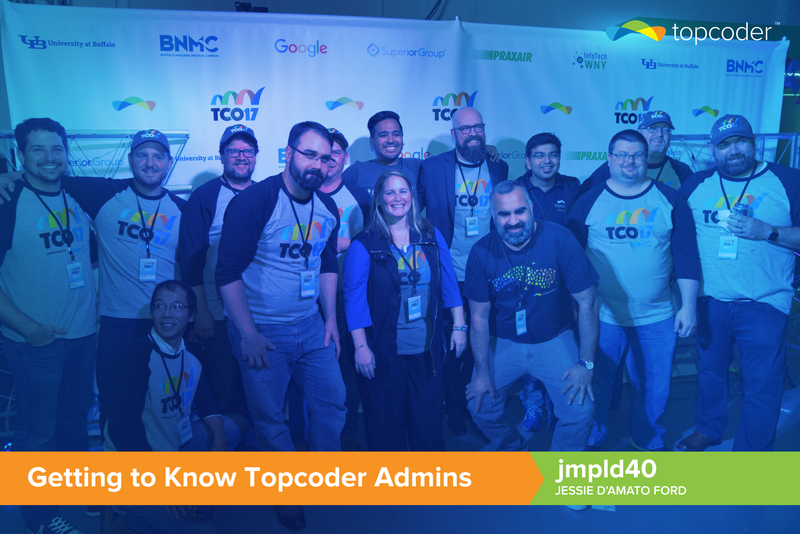 Topcoder levels the playing field and allows people globally who may not have access to the “network” to still be able to showcase their skills and also make money doing it. The most rewarding thing about my role is the variety it brings. Every project is so different. The customer, the team managing the project, and the group of designers creating it is never the same. It’s always a new experience. Different problems and situations to solve. It’s never a dull moment. What are your interests besides work? I enjoy riding through the city on my bicycle. It always feels like an adventure going through the different neighborhoods to reach my destination. When I get stuck I usually take some time away from whatever it is that I was working on. Taking a break and taking your mind off of it really helps to reset and come back with a new approach. Do you have any sites you’re usually following to get latest updates, trends, tutorials related to design? I like listening to design podcasts. Design Matters, Design Details, The Futur, and High Resolution are a few that I pay attention to. Medium has lots of interesting articles on UX, and I like to check in to Core77 when I want to see what’s going on in Industrial Design. What’s the most important skill a designer should develop? Details. It’s all in the details. That’s what separates the good designers from the great ones. Anything else you want to add about you? I wish I was a racecar driver. 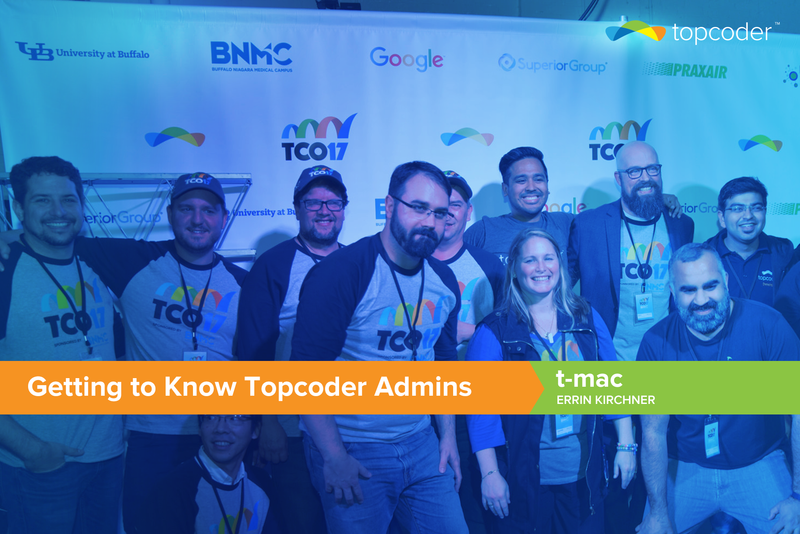 Getting to know Topcoder Admins: Meet t-mac – Erinn Kirchner!